The system technology specifically designed for the customer and the product meets the high requirements of the end customer. 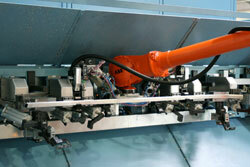 In addition, these system solutions have a high level of automation. Consequently, the manufacturing process can be arranged even more economically. 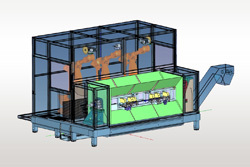 The handling robots remove the components directly from the route bender and position them on the tensioner. 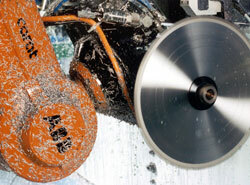 Three robots are waiting in the milling cell to process the contours and geometries with sawing and milling tools. The visible edges are then ground further and the components stored. 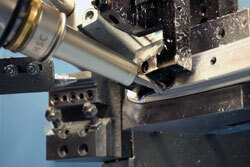 The milling chips are also removed from the equipment by robots.